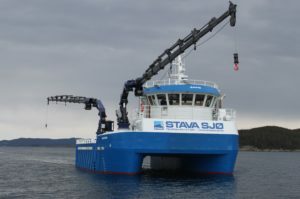 The Austrian manufacturer of deck and heavy lift equipment Palfinger Marine abandoned from acquisition of Norwegian cranes and offshore systems provider TTS Group, due to lack of support by shareholders and bondholders of TTS. 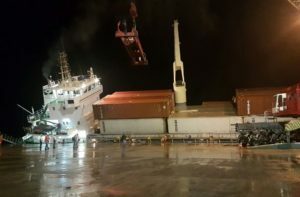 the both companies announced plans for merger, after Palfinger Marine officially submitted offer to acquisition of 100% from the shares of Norwegian company. One of the acquisition closing conditions was acceptance of 90% from the TTS shares on a fully diluted basis until August 12, 2016. The acquisition did not received enough acceptance within the period by TTS shareholders and bondholders, which forced Austrian crane manufacturer to abandon the deal. “We are surprised that the transaction will not be completed. We will now fully concentrate our energy on execute executing our stand-alone strategy. Short term focus will be on operational efficiency”, said the CEO of TTS Group, Toril Eidesvik. It is not yet clear whether this marks the end of Palfinger’s efforts to acquire TTS Group or whether it will make a different approach in the future. Palfinger Marine is an Austrian international manufacturer of deck equipment, especially cranes. The company is part of the Palfinger Group, a leading manufacturer of cranes and and heavy lift equipment. The company is headquartered in Salzburg with additional sales locations in Odense, Barneveld, Harderwijk, Singapore, Busan, Rio de Janeiro and Houston.